Goforth Tires And Automotive has been your local tire dealer and auto repair center in Kodak, TN for 46 years. We provide tires, wheels and auto repairs for customers from Kodak and surrounding areas. We make 24-hour service calls. Give us a call if you need emergency roadside service. To beat the best, you gotta run the best. Goforth Tires And Automotive caters to all off-road racing needs and alignments. Our family owned and operated business helps with the day-to-day needs of the racing community and sponsors the Southern Rock Racing Series as well as many of its top drivers. Goforth Tires And Automotive has a variety of custom wheels available. 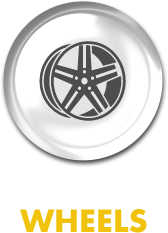 We carry wheels from Raceline, Vision, Mayhem, Fuel, American Eagle, XD, and more. Goforth Tires And Automotive is conveniently located at 128 Fred Bryan Lane in Kodak, TN. We’re open Monday through Friday 8:00 AM to 5:00 PM and Saturday 8:00 AM to 12:00 PM.